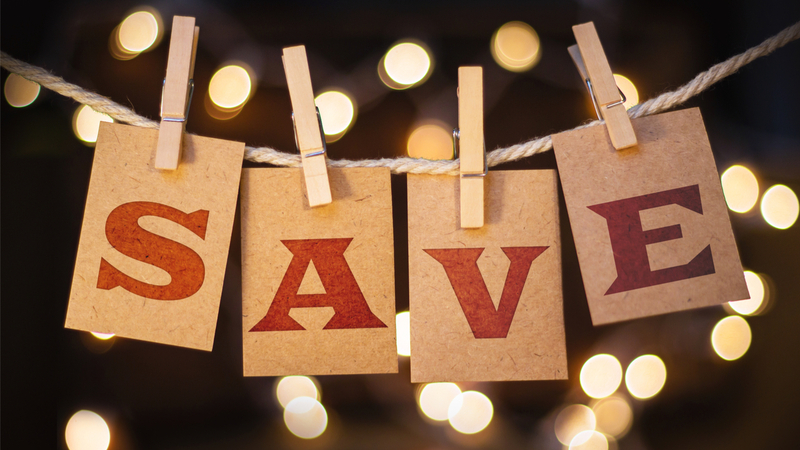 Stash Member Frequent Guest Rate: Save 10% off our Best Available Rate. It's free and easy to join! MEMBERSHIP IS REQUIRED prior to arrival, so book now and join later. Membership will be verified upon check-in. Guarantee Policy: A valid Credit Card is required to confirm your reservation. Payment will be required at time of check-in. Pet Policy: **Advance notice is required for pet friendly rooms, please advise us upon booking your reservations as not all of our rooms are designated pet friendly. Once the number of pet friendly rooms are reserved, we will be unable to take additional overnight pet rooms. The current pet fee is $50.00 per stay. 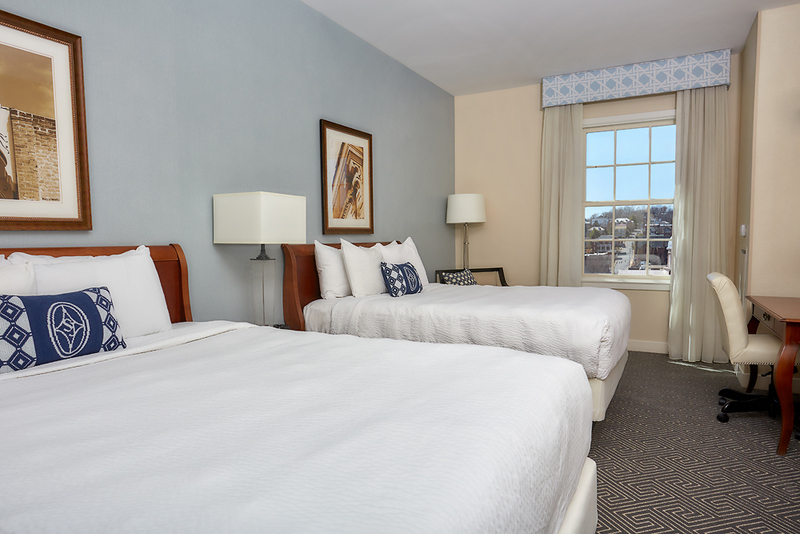 All located in the hotels historic wing these king bedded rooms are of all different configuration and are a refreshing change to the cookie cutter guestrooms offered by hotels today. These rooms are modest in size in comparison to the rooms in the new wing. All of the hotels double Queens are located in the newly constructed wing of the hotel. These rooms run slightly larger and are more consistent in their modern configuration. 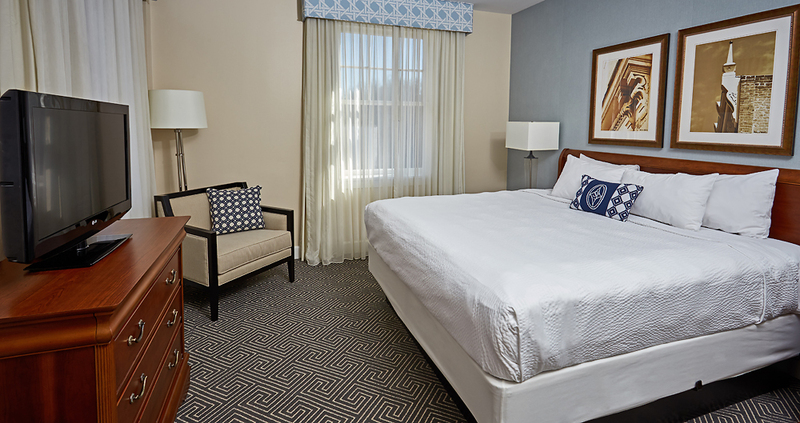 They feature the same decor and amenities as the rooms in the historic wing. ADA Compliant Room with 2 Queen size beds. Room includes Roll-in shower OR Grab-Rails in bathtub. Rooms can be equipped with approved communication devices for hearing or visual impairments. 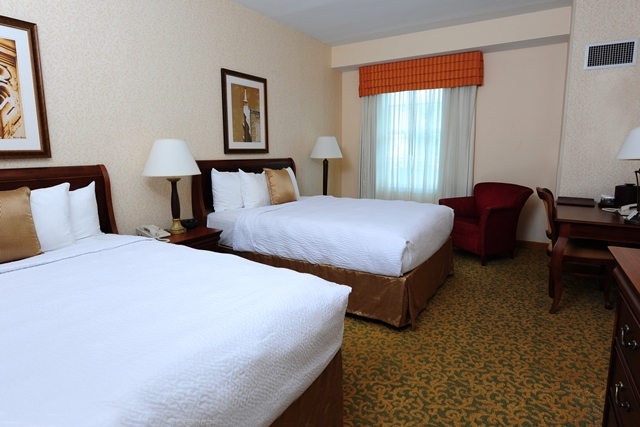 Room includes two Queen size beds, working desk, free wifi internet access, and 32 inch LG TV**NOTE** Please detail any ADA requirements in the "comments" section of your reservation so the hotel can secure a room matching your specific needs. 2 rooms with interior connecting door. Master bedroom w/ king bed and couch. Connects to living room area with couch, coffee table and Queen size Murphy bed. Both rooms have their own bath and own separate entrance. Bathroom is shower only, no bathtub. Suites can not be used as Pet rooms and are not ADA equipped.